Spooky Time! 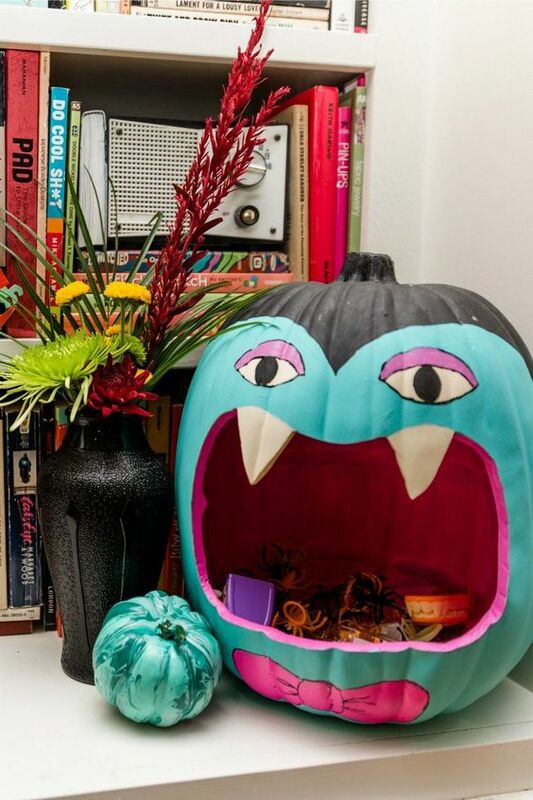 Are You a Teal Pumpkins Household? 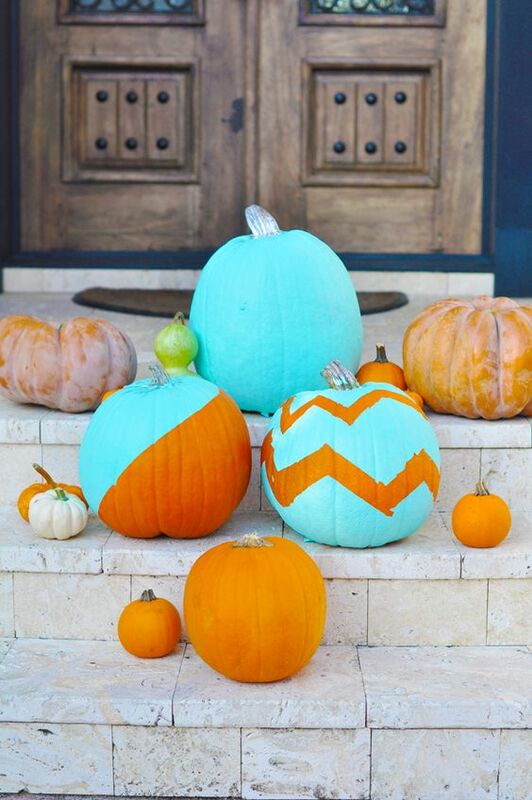 Teal pumpkins are growing in number on front yards, porches and patios this Halloween. Its supports a great cause and is a great way to add something different to your Halloween decorating. 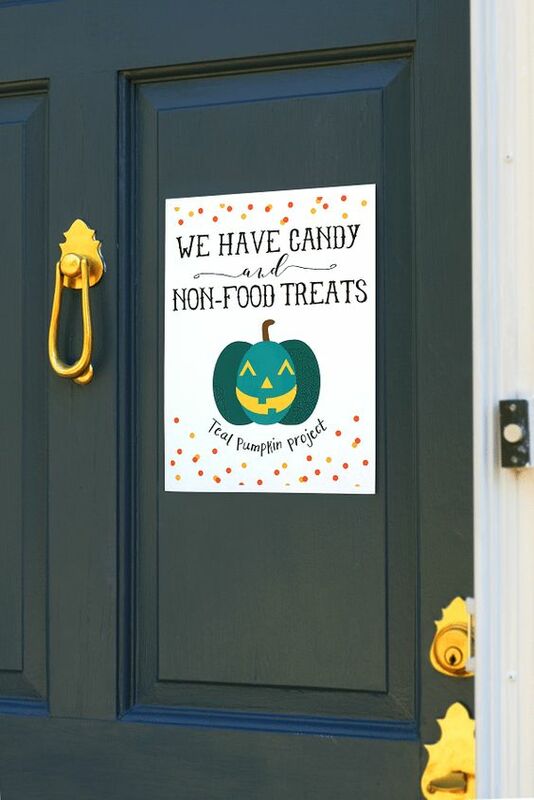 Teal Pumpkin is the password for kids with food allergies. It means that treats from homes with teal colored pumpkins are allergy free. Its part of the Teal Pumpkin Project and its taking off, becoming more popular each year. It's a Sign! 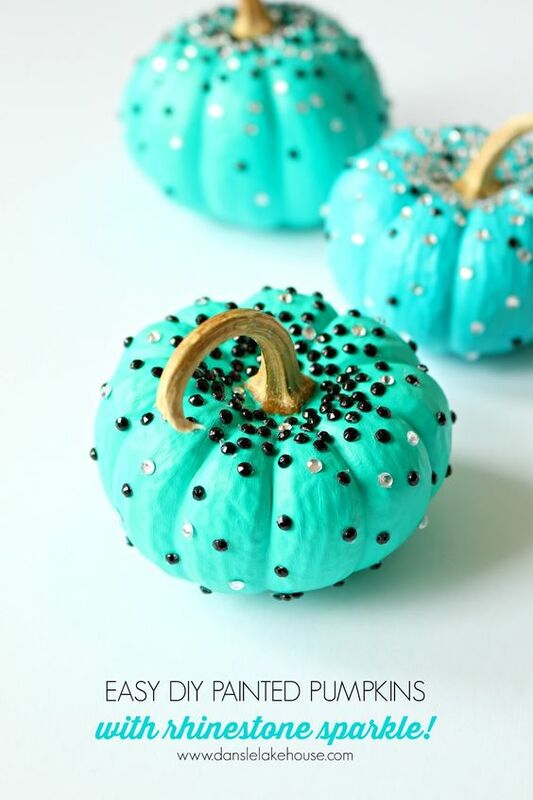 Teal Pumpkins Are Spooky Safe! Placing a teal pumpkin at your front door, porch or patio lets parents, neighbors and kids know that your house is spooky safe. 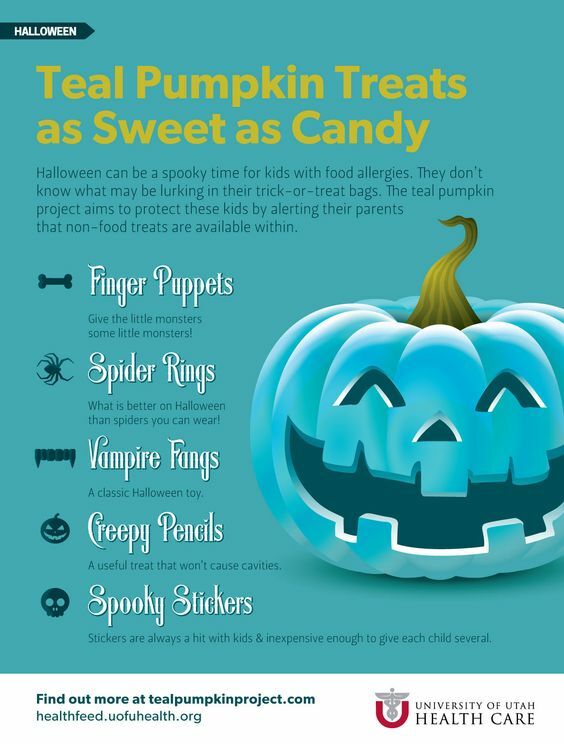 Instead of regular candy, kids will get non-food treats, or allergy free treats, so they can share the fun without triggering their allergies. How Did the Teal Pumpkin Project Start? Non-profit Food Allergy Community of East Tennessee (FARE), started The Teal Pumpkin Project to raise awareness of food allergies in children. They asked families to offer alternatives to candy handouts. Families gave out small gifts like stickers, glow in the dark spiders or pencils instead of regular candy. It was so successful that the Project went national in 2014 and continues to grow. Click the image below to get this Free Download from By Dawn Nicole to Print to hang on your front door. As teal has become the official color for food allergy awareness, teal pumpkins easily stand out from traditional Halloween colors like black and orange. As more families participate, children with allergies can enjoy the tradition without harming their health. Its a great idea! 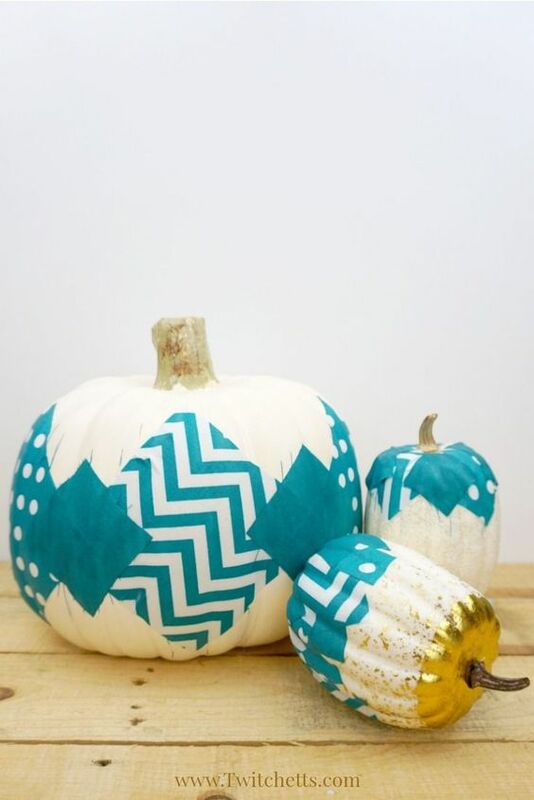 Will You Add a Teal Pumpkin to Your Decorating? 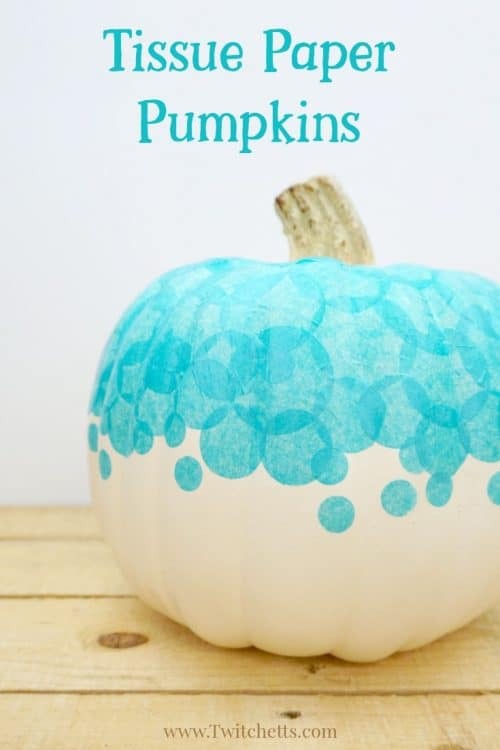 Add a teal pumpkin to your Halloween decorating, and be part of this movement so children with allergies know that your household is a safe non-candy haven! Want to Join the Teal Pumpkin Party? Its easy to join the Teal Pumpkin Party. 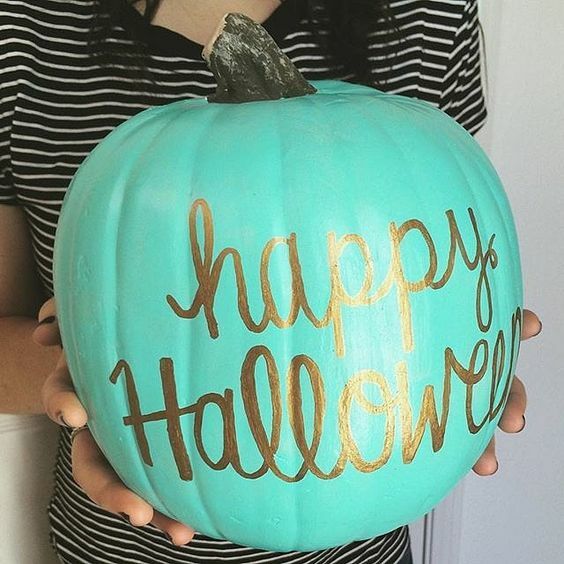 Buy a pumpkin, decorate it in teal and place it outside for Halloween. Remember to buy tiny toys, stickers, or even glow-in-the dark bracelets and offer them a Halloween trick-or-treats. You can also register your home on the Teal Pumpkin Project website, so kids with allergies and their parents, know where to find you. I don't have time to paint a pumpkin. You don't have to paint your pumpkin. You can cover it with teal colored tissue paper and glue it on using Modge Podge, like this one. The decorating ideas are endless. If you don't have time to paint a pumpkin, buy a kit online or at retailers like Walmart and Target. Think outside the box and give skull glow in the dark bracelets or candies that are gluten free and dairy free as your treats. Have a safe and very spooky Halloween.